When Ilana Itzhak was 9-years-old, her family fled Baghdad for Israel in the middle of the night. It was her mother, Marcel Batzri’s idea. “I don’t know how she persuaded my father,” she says. They were already a family of four children and Marcel was pregnant. It was a journey filled with uncertainty. But, to Ilana, the two month voyage to Israel, which involved a boat, walking through an orchard, a bus, a train, staying with relatives in Iran, and finally a flight to Israel, felt like vacation. “It was very exciting and interesting. We didn’t understand the danger,” she says. Once they arrived in Israel in 1950, two years after the founding of the state, “they tried to cling to things in the past whenever they could,” Ilana explains. That included the tradition of a large Purim party. In Baghdad, her family home was the center of the celebration. Preparations would start weeks before with cousins and other family members coming by to help make Iraqi treats like date filled b’ebe b’tamer, ring-shaped cookies called k’aakat, savory cheese sambusak, and coconut-based hadgi badah. On the holiday, the entire extended family gathered to eat, sip tea, and play card games — with a table for the adults and another for the children. In Israel, “my mother saw to it, that the custom wasn’t lost," Ilana says. “Even before we had a house to live in, when we were in an immigrant camp,” the family’s Purim party continued. “For us [as Iraqi Jews] the main tradition was Purim,” her granddaughter Ayelet Izraeli and Ilana’s niece explained, comparing the holiday to the way Ashkenazi families celebrate Hanukkah. She and her siblings were given pocket money to play the card game Dosa, which she explains is “like war with a dealer and you bet on the cards.” The grandchildren were also sent home with mishloach manot, or edible gifts for the holiday, a mix of what Marcel had made and Iraqi sweets she purchased. Over the years, the party went unchanged (but for the costumes, Ayelet jokes). Always the same pastries, oranges and tea, the same games, and the same circular wooden table top, made for the family by a carpenter in Jerusalem that was tucked under Marcel’s bed for most of the year. She hosted the party until she died in her mid-90s in 2010. Marcel never wrote down her recipes. Fortunately, Ayelet, who studied pastry, was able to capture them. “She had the recipes in her head and I had to fish them out,” she says. 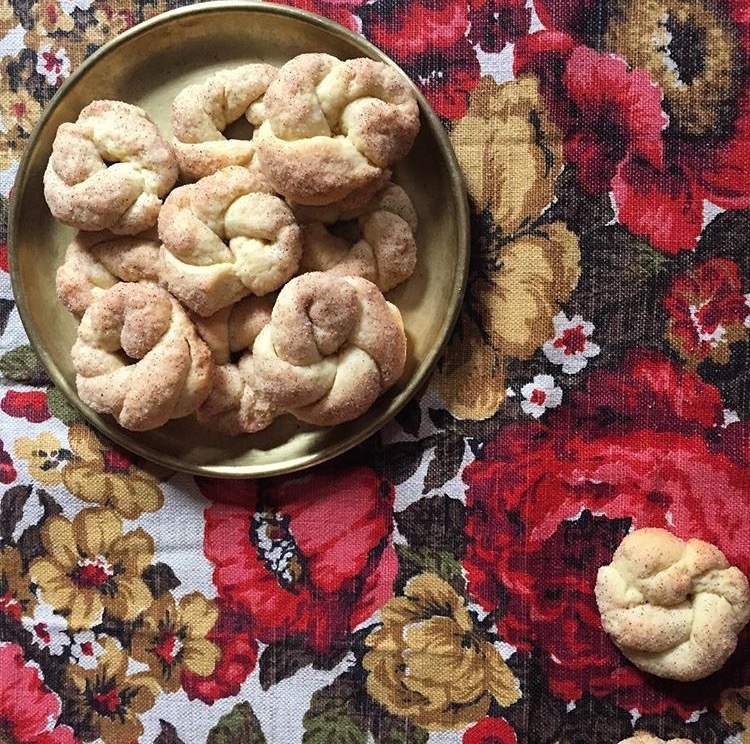 Since her grandmother passed away, she and her sister are the ones who make the Purim pastries, leaning on their mother to host, setting out the wooden table top she inherited from Marcel. 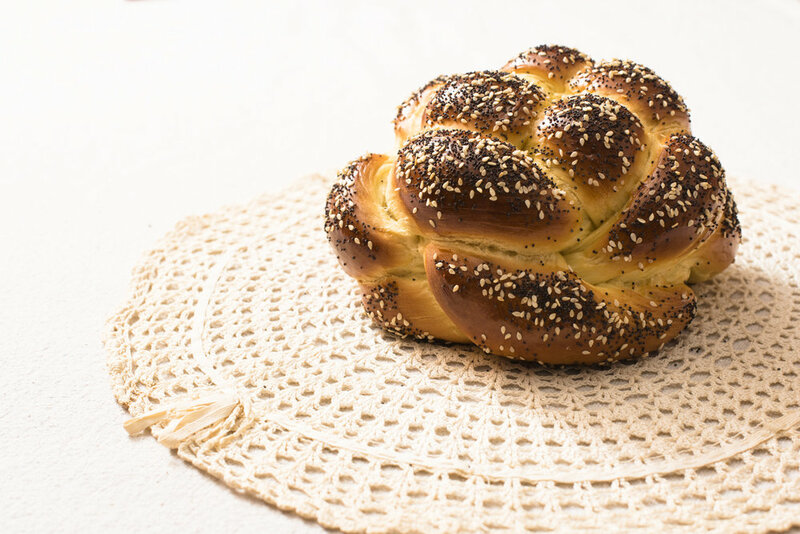 Marcel’s recipes, which use just one dough (but for the coconut cookies), are excellent for a party, or to make mishloach manot for friends and family. 1. Place the yeast, 1 cup of water and sugar in the bowl of a stand mixer fitted with a dough hook and mix until combined. 2. Add the flour and the salt and begin to mix on medium-low speed. Slowly add the butter and then the oil, until dough starts to come together. If the dough is still a little dry at this point add 1 tablespoon of water at a time until it just begins to come together. Increase speed to medium and knead until the dough is smooth and soft, about 12 minutes. 3. Transfer the dough to a large bowl and cover with plastic wrap and a clean kitchen towel. Keep in a warm, dark place until the dough has at least doubled in size, 1- 1 ½ hours. 4. Transfer the risen dough to a clean work surface, lightly knead and then divide dough into four equal sections, for easier handling. Cover the sections of dough that you are not working with in plastic wrap to keep the dough from drying out. 5. Now you are ready to start filling and shaping! 2. In a medium bowl, mix together the cheese, 3 eggs, cottage cheese and flour, until well combined. 3. On a clean work surface, roll out one fourth of the dough into a ⅙” circle. Using a 3” diameter glass, cut circles in the dough. Reserve the leftover dough between the circles for k’aakat (see below). 4. Place 1 ½ teaspoons of the cheese mixture in the center of each circle. Fold the dough in half over the filling forming a half moon shape and press to seal the edges together (being careful not to create air pockets). 5. Using a fork, score along the entire edge of the sambusak. This will help seal them and also make them look pretty. Place on the prepared baking sheet (they will not expand much during baking so there should be some space in between them, but not too much is needed). 6. In a small bowl, beat the remaining egg. Lightly brush each sambusak with a coating of egg wash and sprinkle with sesame seeds. 7. Bake until golden brown, rotating the pan halfway through, 20-24 minutes (baking time will be longer if you bake more than one sheet of sambusak at a time). 8. Let cool, then serve or freeze until serving. 1. Preheat the oven to 350° (unless already heated) and line a baking sheet with parchment paper. 2. Place the date paste and butter in a medium bowl and microwave for 1 minute. Mix until evenly combined and easy to work with. Add 30 seconds at a time in the microwave if needed. (Alternatively, heat in a small pan on the stove). 4. Place 1 ½ teaspoons of the date mixture in the center of each circle. Gather the edges of the circle to the center and pinch closed making a small parcel. Then flip so the seam is down and flatten into a disc with the palm of your hand. Place on the prepared baking sheet. Repeat with remaining filling and dough. 5. Lightly brush each cookie with the egg and sprinkle with sesame seeds. 6. Using the handle of a wooden spoon dipped in the egg wash, make 3 holes in each cookie (to release any air pockets). 7. Bake, rotating the pan halfway through, until golden brown, 20-24 minutes (baking time will be longer if you bake more than one sheet of cookies at a time). 1. Take a small amount of leftover dough (about a ½ tablespoon) and roll it into a 3” snake. Pinch the two ends together to form a ring. 2. Place on a baking sheet, brush with egg and bake, rotating the pan halfway through, until golden brown on both sides, 20-24 minutes. 3. Let cool, then serve or freeze until serving. 2. In a medium bowl, mix the coconut, sugar and eggs, until evenly combined. 3. With one hand, grab a golf ball sized amount of the coconut mixture and squeeze your hand into a fist around the mixture until it holds its shape (the resulting cookie will be a small log with indentations where your fingers squeezed) and place on the prepared sheet. Repeat with the remaining mixture. 4. 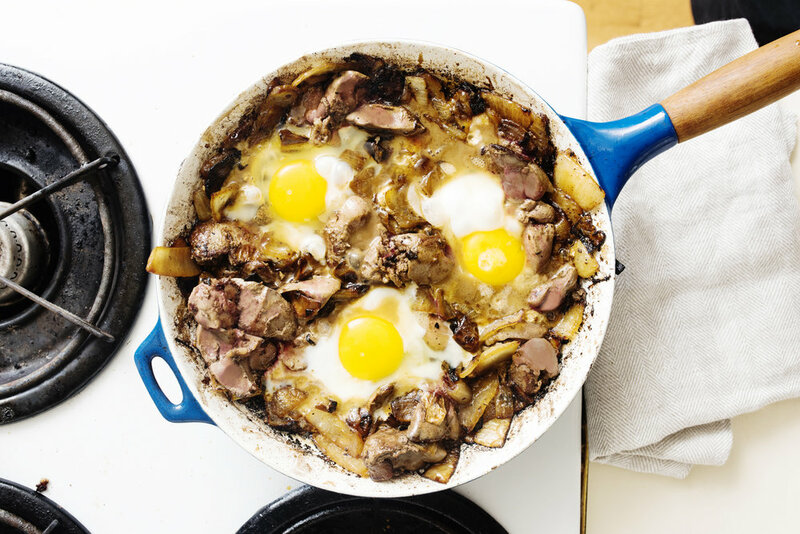 Bake until browned and crisped, rotating the pan halfway through, 25-30 minutes. Ayelet always prepares all the cookies at least 2 weeks ahead, in a few batches, and keeps them in the freezer until the day of the gathering. Traditionally several pounds of this dough was made. The filling was never measured - a filling was made and used, than another until everything was used up. The leftovers of the dough were always made into the k’aakat…It’s all flexible.